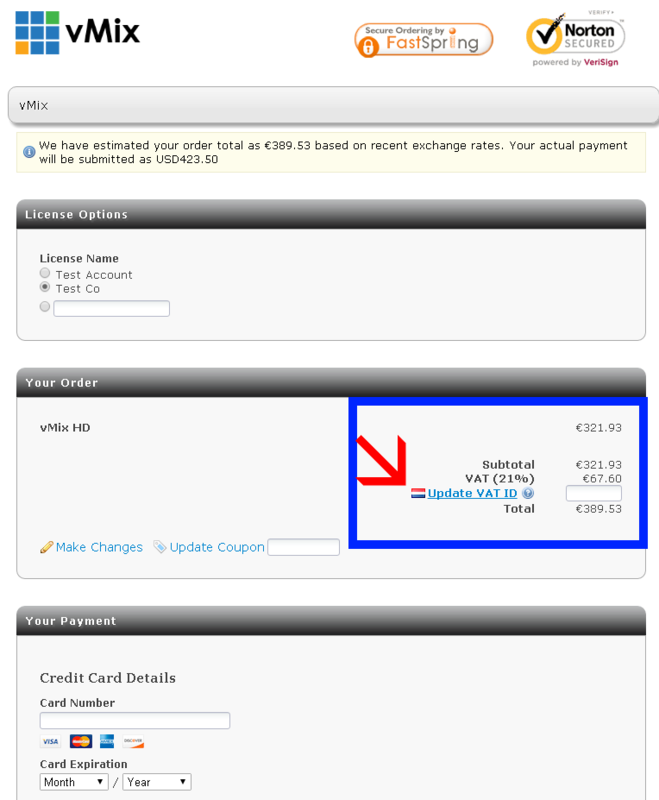 If you are a EU business with a current VAT ID, you can purchase the vMix software without paying tax by entering in the ID on the purchase page as shown below. This page appears after the payment method has been selected. For PayPal this page will appear after logging in to your PayPal account. Make sure "Update VAT ID" is clicked after typing in the number so the Total price is updated.